Giraffe Welcome Wagon This gift is a cute way to say hello and congratulations! This Welcome Wagon is filled with blankets, bibs, and towels that are soft and ready for use. It also includes a plush photo holder and gift message. All of these fun things are places in a wood and plush giraffe wagon. While some of the items will be outgrown, some of the toys in this basket will be used from years to come! As Cute As Can Bee Baby Layette Gift Set This neutral gift set gives the new arrival plenty of soft textures and friends to be around. Blankets, bibs, towels, and more are all part of this cute gift set. 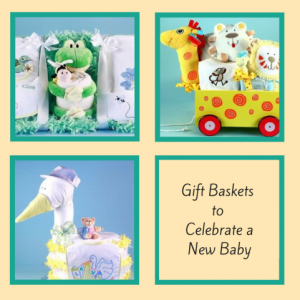 This set also has a plush frog and wrist rattle that complement the rest of the basket. Like our other gifts, this set arrives wrapped, so you don’t have to figure out how to best wrap everything. Stork Delivers Baby Shower Diaper Cake Whether you need a quick gift or the perfect piece for a baby shower, this diaper cake is perfect. Each of these “cakes” has around 54 diapers, a terry towel, receiving blanket, bibs, a plush bear, a cap, and a silver tray all made to look like a stork. They’ll not only love how cute this gift is, but also how useful its contents are! 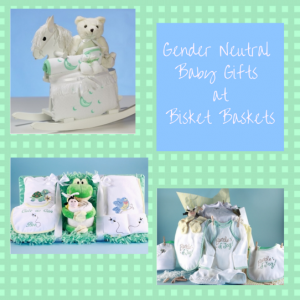 Bisket Baskets has these and plenty other gift baskets to celebrate a new baby. 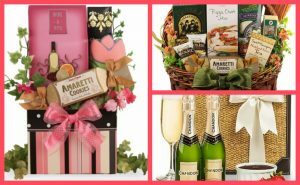 Ranging from traditional to contemporary, you’ll find the perfect gift to say congratulations. 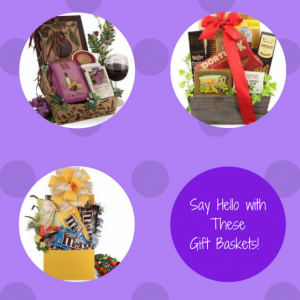 We have a range of gift baskets, flowers, and more to help you celebrate any occasions. Also, you will know your gift arrives on time and beautifully wrapped with our gift wrap options. Shop today to celebrate any new arrival in style! 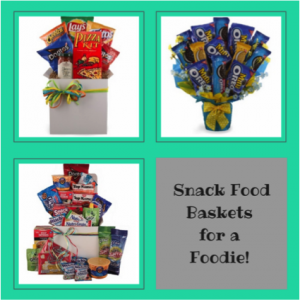 Have a college student who loves to snack? The College Survival Care Package ($52.99) has everything on their shopping list. From quick bites to eat, to a last minute dinner, this package has them covered. Thinking about a foodie friend lately? 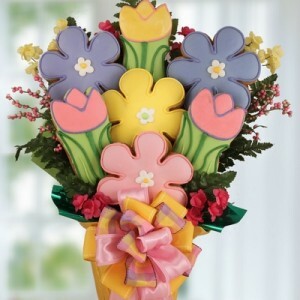 This Oreo Cookie Bouquet ($57.99) will get the message across! 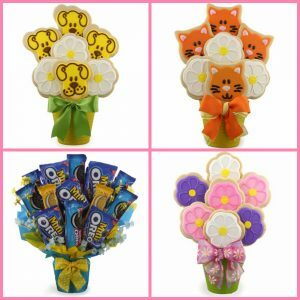 This cookie bouquet is arranged with a variety of the classic cookie that is sure to please. Do you know someone who loves to cook as much as they like to snack? Send them the Pizza & Munchies College Care Package ($38.99). They’ll have all of the fixings to make a pizza and have a snack too! 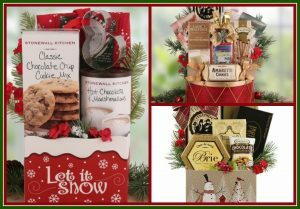 Foodies who love snack food will love one of these gifts! 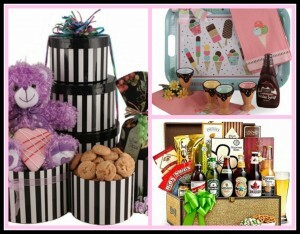 See other gifts and snack food baskets by visiting BisketBaskets.com. 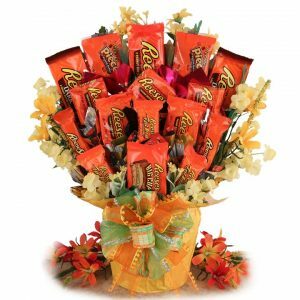 Show some snack food love to your favorite foodie today!